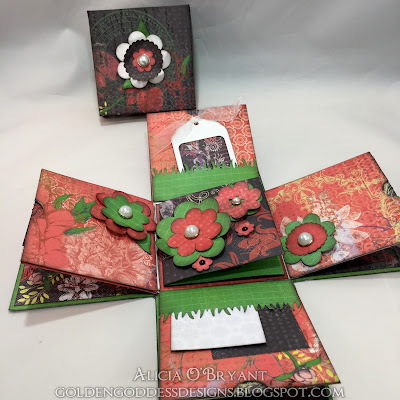 Blog Quick Quotes: September Club Q with Alicia! September Club Q with Alicia! 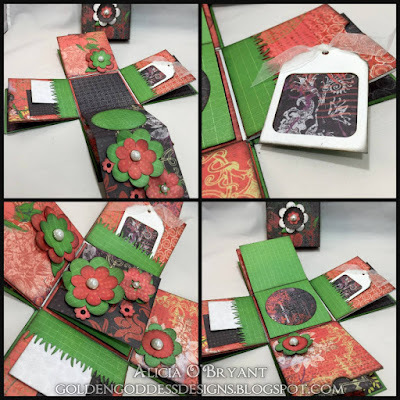 Good morning Quick Quotes readers, Alicia here today with a collection of explosion boxes made with pieces from the September Club Q Kits. I used the September Ultimate Combo and let my inspiration guide me! It was obvious by the cuts to me that these projects were meant to be boxes. I searched the internet for standard explosion box cuts and followed the directions. There were so many pieces and parts I ended up with three explosion boxes from the kits. The kits came with two die cut lids and I created the third lid. Other than that, I only added a bit of extra ribbon and some brads and of course, some coordinating PowderPuff Chalking Inks. This first box is my Spring version. Here I added some yellow floral brads from my stash. I inked the white die cut flowers with PowderPuff Chalking Inks in Lemon Sorbet and Plum and then the leaves with Green Leaf. I used several folded pieces and some of the "flaps". Basically, I used all the blue and striped papers on this box. 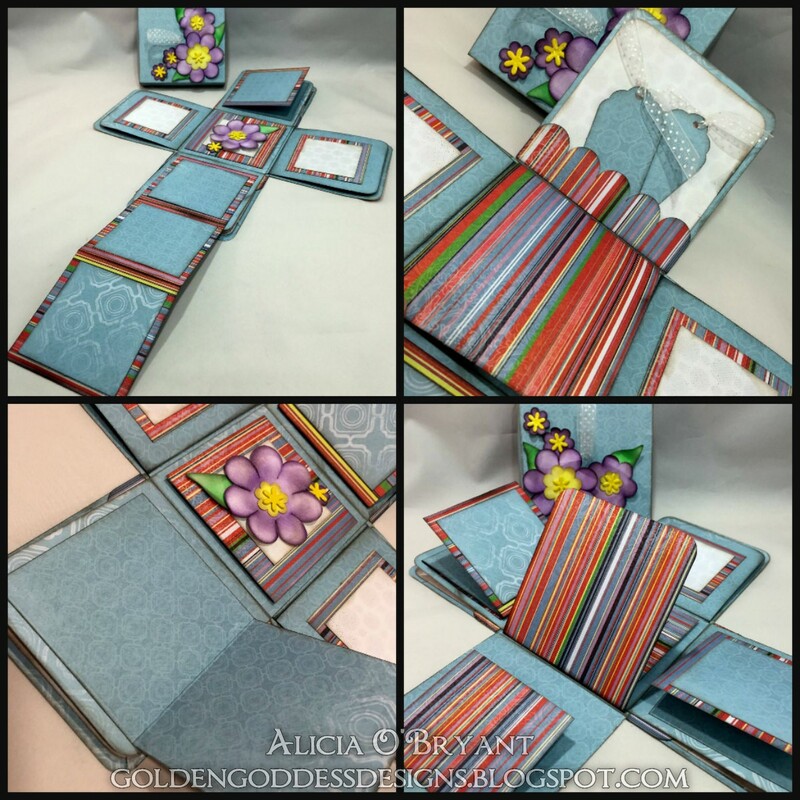 Here are some of the details like the tags and fold outs. I added the ribbon as a pull for the top. I have made several explosion boxes prior to this, but just happened to find a tutorial this time that described how to cut a half inch or so slit in the center of the lid. Then simply thread the ribbon through, adhering firmly and place a square piece of paper on the inside of the lid to cover the underside of the ribbon and adhesive. It is a nifty little trick, I used on two of these boxes and will be repeating it on more boxes. 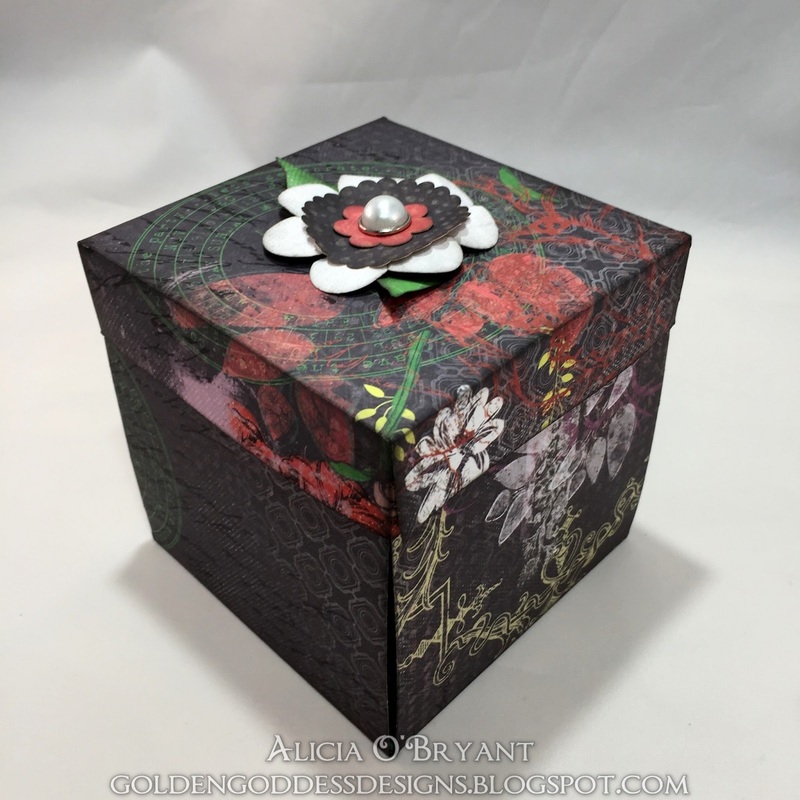 The second box I used the gorgeous black paper with lots of the red inside. I used up the remainder of the flowers and leaves with the included pearl brads. 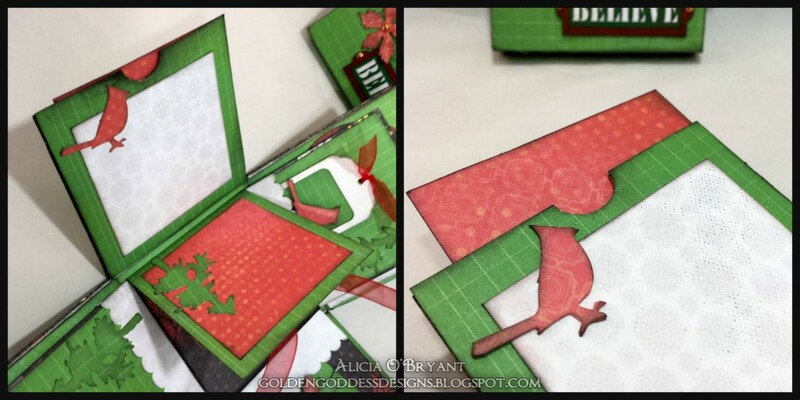 I die cut some borders and used the smallest "pocket" box included with the kit. 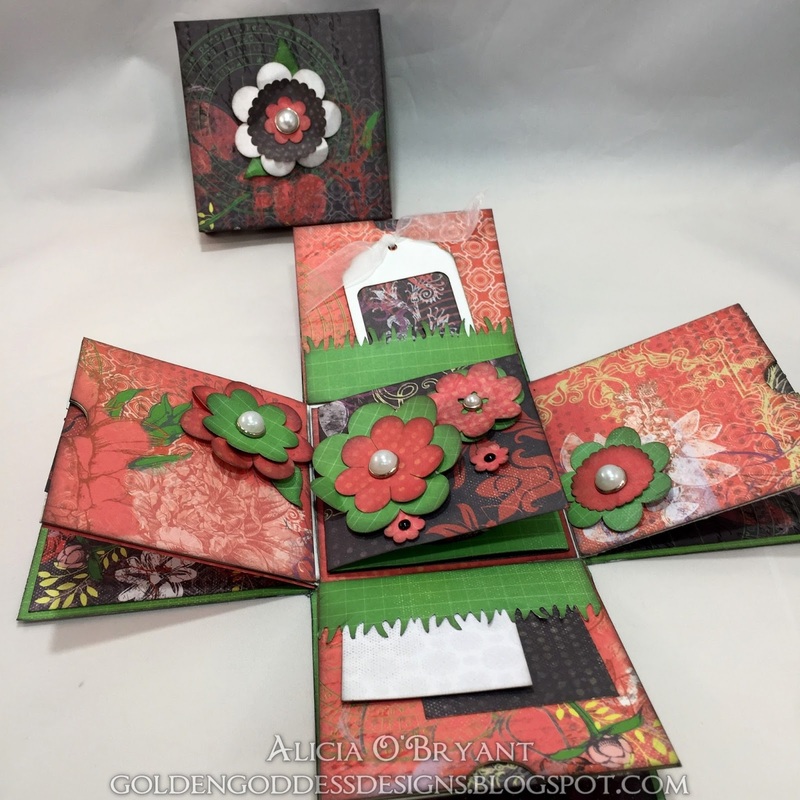 Die cuts were included to cover the pockets perfectly. There were also appropriately sized inserts for the pockets. I backed the framed tag and added a folded piece or two! 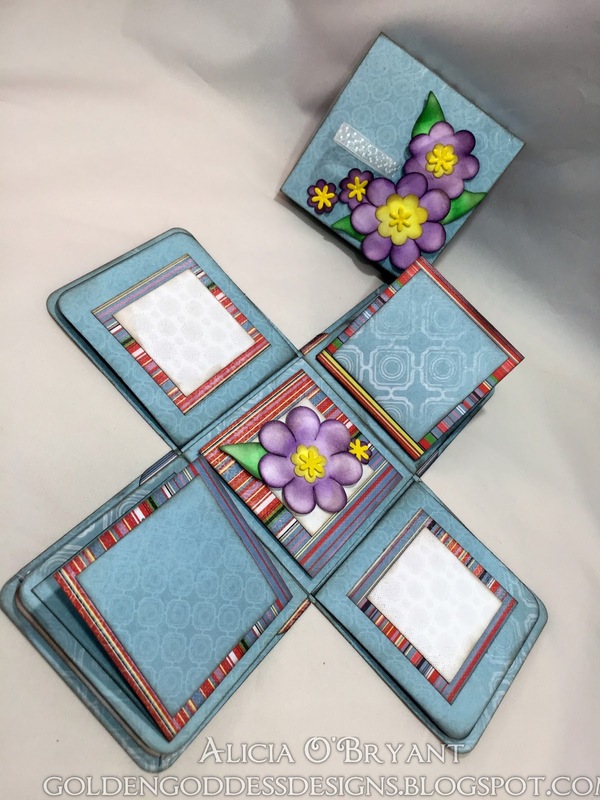 I used various shaped die cut pieces from the kit, circles and squares are placed here and there for matting and journaling. 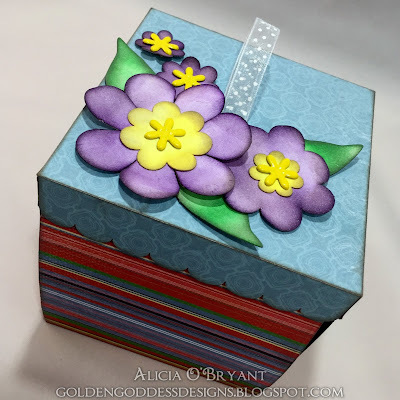 There were so many great die cut flowers in this month's kit, they made for some great floral boxes. 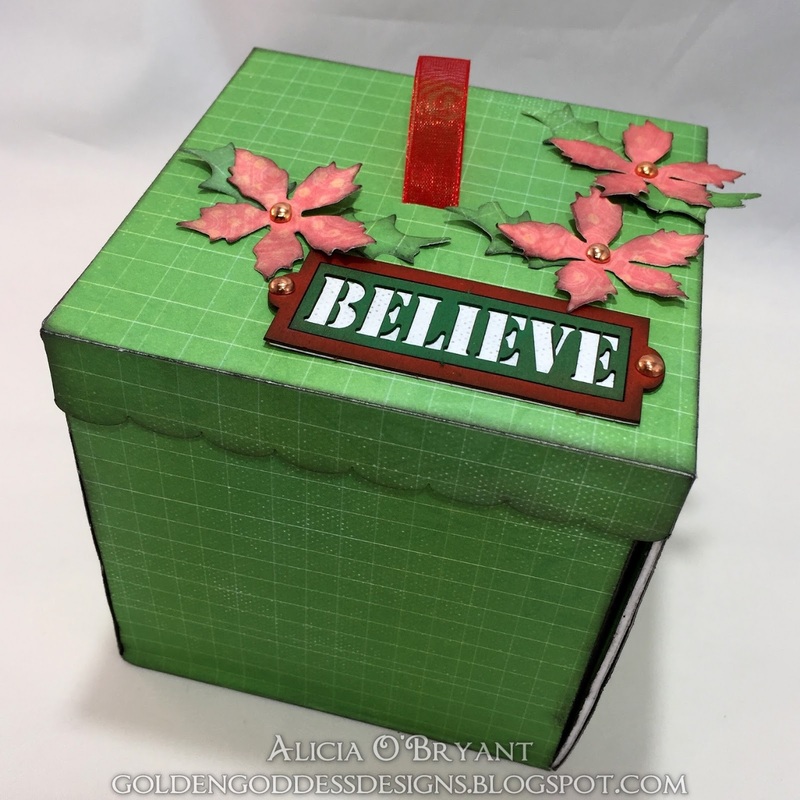 And the final box has a Christmas theme. I just love the reds and greens in the latest collection, these papers lend themselves to a great Christmas box. I used up lots of scraps die cutting the poinsettias, cardinals and trees. 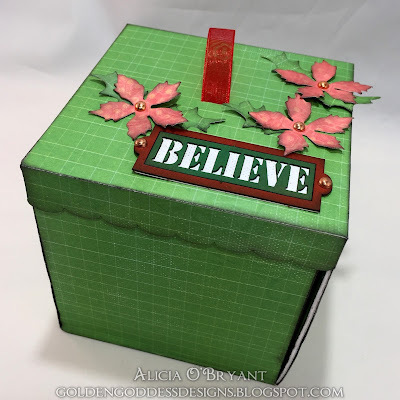 The chipboard "believe" was inked in two different colors and backed with a scrap of white dotted paper. I used the larger of the "pocket" boxes included for the outside of this box. I cut the traditional explosion base from a 12x12 sheet and it fit perfectly on the outside. I did have to cut out the half circle area so the inserts could be pulled out. I added a another paper layer to the inside with pockets and tags. I hope you have enjoyed my photo heavy post of explosion boxes made with this month's Club Q Kits. 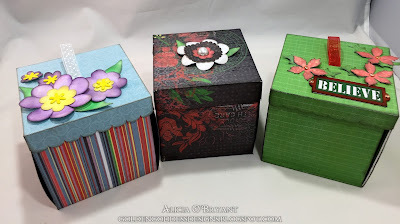 Great boxes, Alicia!! They are all very creative and well done.